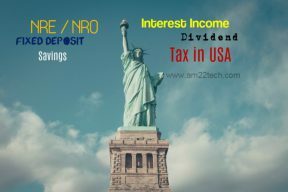 File NRE account interest in USA tax return. Exchange rate for USD conversion by IRS. 1099-INT is not given by Indian bank. NRE NRO FD interest is taxable. Attestation of Power of Attorney at Indian Embassy. Original passport, address proof, US legal status, 2 photo. US citizen need Apostile. Notary vs Attest. Apply PCC from India rather than applying it from Indian Embassy in USA? Hello Anil, Can I apply PCC from India rather than applying it from Indian Embassy in USA? Does the CIC accept it that way? Indian Passport Renewal – Package returned to CKGS status meaning? Hi, I have sent my documents for passport renewal last Thursday. I have checked my status. It says All verification is done. Package returned to CKGS. Does it mean everything is alright? Indian passport: Self attest in front of the notary? Do I need to submit rent receipt for 1800 monthly hra tax exemption?